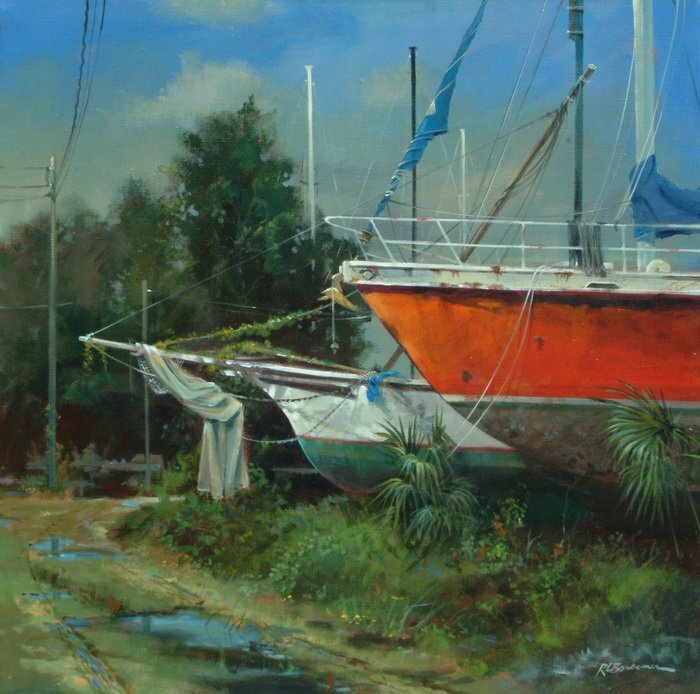 I’ve been looking at these two boats for some time and during the St. Augustine Art Assoc. 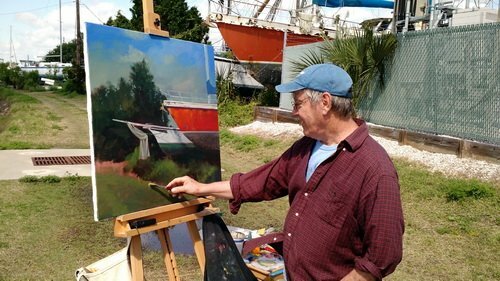 Plein Air event, decided to paint these wonderful looking boats. I loved to pure color combinations of the red, white, greens, and blue sky. They made an exciting composition and color layout for the painting. 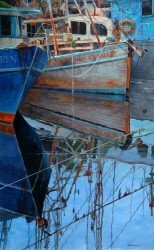 I worked on it for several mornings until about noon until the light changed to where the shadows were no longer where they were in the earlier hours. Standing in the blazing sun just about knocked me out for the rest of the day!